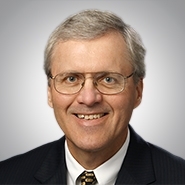 MILWAUKEE, Wis. – The national law firm of Quarles & Brady LLP today announced that partner Patrick Goebel of the Business Law Practice Group in Milwaukee has been named among Wisconsin Law Journal’s Leaders In The Law. The Leaders In The Law Award recognizes the top Wisconsin attorneys who are most influential in their practice area among clients and colleagues and have a strong commitment to their community. A total of 24 lawyers from across the state were selected for the award. Goebel has nearly 40 years of legal experience and has established himself as a strong leader who consistently helps clients accomplish their business objectives. He has helped lead hundreds of successful client business negotiations and is an active mentor who seeks to give younger attorneys the same opportunities he has received in his career. Beyond the office, Goebel serves as trustee of the Emory T. Clark Family Foundation, which offers grants to numerous community organizations in Southeast Wisconsin. He is also director of the Charter Manufacturing Company Foundation and a member of the UW-Oshkosh Chancellor Advisory Council. Goebel and the other award recipients will be honored during a ceremony on February 16.